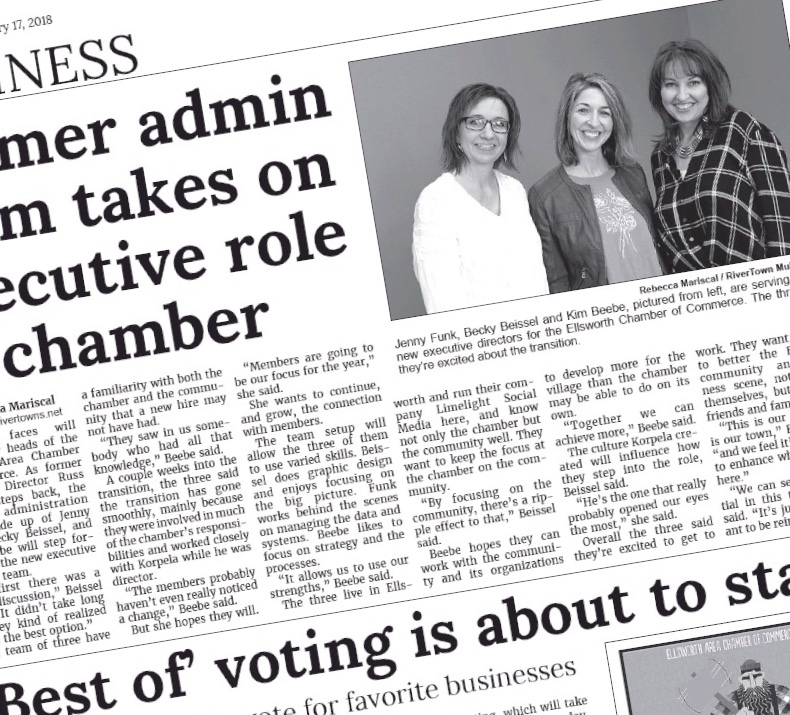 Thank you for all the emails and phone calls wishing us well in our new role with the Ellsworth Chamber. We’re excited to be working for you and thank you for your trust and confidence. Hopefully, you feel as we do, that the transition so far has been a smooth one; perhaps you haven’t sensed a change at all. That’s great, although we hope as the year moves along you’ll begin to notice something exciting. As a team, we’ve adopted a theme for the year: Members. Along with all the day to day of chamber operations, we want to be sure we’re focusing on you, your business, and the benefits you want to receive through your chamber membership. We sat down with Rebecca Mariscal, Pierce County Herald, to share more. You can see what we had to say here. Please join us in extending a big thank you to Russ Korpela for his leadership over the past 3+ years. We're blessed that he was so open to sharing his experience and expertise with us. We feel prepared to build on the foundation Russ worked so hard to build for our organizations, and lay a few new courses of our own. We look forward to getting to know you and your business better and continue to be a valuable resource to you, as well as a catalyst for change within the community, as we strive to realize our organization’s mission of “Building a Better Community”.